SPRINGFIELD — Gov. Bruce Rauner today declared a harvest emergency to help level the playing field between Illinois farmers and crop haulers and those in neighboring states. “We have heard from Illinois’ trucking industry and from farmers who are operating on thin profit margins in today’s agricultural climate,” Rauner said before making his announcement at the Ladage Farm in Auburn. “Today’s harvest emergency declaration recognizes that the weight-restriction structure in place in Illinois put our farmers and truckers at a disadvantage. Permits will once again be issued at no charge, but applicants must obtain a route authorization number every two weeks. The harvest emergency permit and other information on the permitting process can be obtained through IDOT’s automated permitting web application here. Rauner said the declaration will speed the movement of crops to market, adding that the importance of an economically healthy agriculture community in Illinois cannot be overstated. 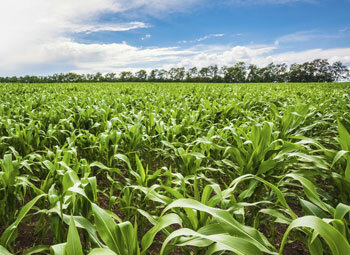 Illinois is home to 71,000 farms on 26.6 million acres. Marketing of Illinois’ agricultural commodities generates more than $19 billion annually, and the state’s food and fiber industries employ nearly 1 million people. The state ranks third nationally in the export of agricultural commodities, with $8.2 billion worth of goods shipped to other countries, according to the Illinois Department of Agriculture. Meanwhile, the neighboring states of Kentucky, Missouri and Wisconsin automatically ease highway weight limits at harvest time. Legislators also welcomed the declaration. She was joined by Rep. Dave Severin, R-Benton. “I applaud this decision to allow trucks hauling agricultural commodities to obtain a free permit to exceed the gross vehicle weight limit by 10 percent and help farmers harvest their crops more efficiently,” said Severin, a member of the Agriculture and Conservation Committee. “With this harvest emergency declaration, farmers have the ability to get more grain to the storage sites quicker. I appreciate Gov. Rauner’s action and IDOT for developing a user-friendly application process,” said Rep. Dan Swanson, R-Alpha, a fifth-generation family farmer and member of the House Agriculture and Conservation Committee.